Liverpool: birthplace of the Beatles ..and the city that shaped their early music and lives. Experience the city that honed the Beatles sound and see the places that inspired their most memorable songs. Here’s what you should not miss! This winding part of the city centre is a network of former warehouses and has developed into a mecca for Beatles fans, with a range of bars and shops dedicated to the Fab Four. The area is home to Liverpool’s Wall of Fame which features the name of every Liverpool band or solo artist who has reached Number One in the UK charts. 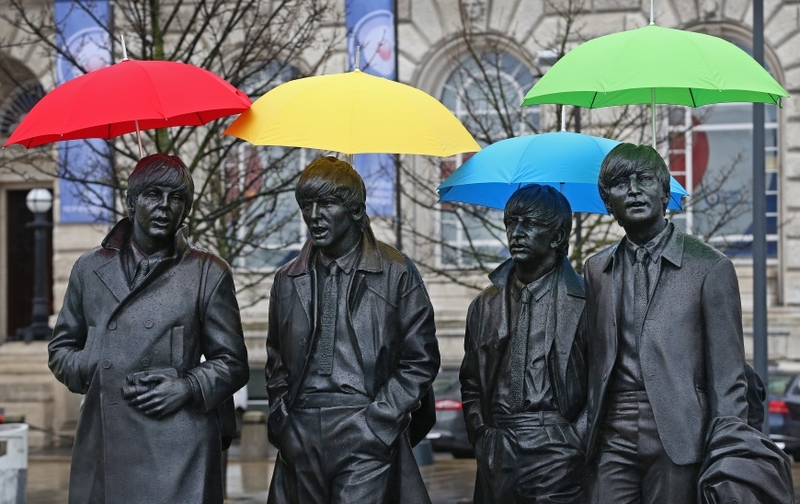 There are also statues of the Fab Four, including a solo cast of John Lennon leaning against the Cavern Pub wall, several group poses including Arthur Dooley’s bronze Four Lads who Shook the World which is located on the wall opposite the Cavern and the wistful figure of Eleanor Rigby sitting on a bench in nearby Stanley Street. This hotel features fantastic artwork from Cavern friend and resident artist Shannon.